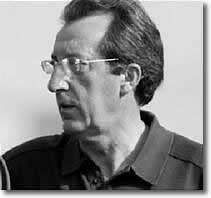 Professor Francisco Seirul·lo Vargas was born on November 28th, 1945. His life-long love and dedication to sports began at the age of 6 when he first started playing basketball, soccer, and track and field. Ultimately, it was high level track and field where he concentrated his personal athletic efforts, competing in 100 m., 200 m. and 400 m. hurdles with the Sports Union Salamanca, and also the University of Madrid (he was junior champion of Spain in 200 m. and bronze medalist in 400 m. hurdles in the university championships of Spain). In the university he also practiced all kinds of sports activities, excelling in athletics and fighting sports. It was at the INEF of Madrid (University of Human Movement Science) that he earned his Degree in Physical Education (1972), Master in Athletics (1972), and National Athletic Trainer (1975). After graduating the INEF of Madrid, he worked as Technical Director of the Physical Education Services in the University of Salamanca, before accepting a position at the INEFC of Barcelona, the setting in which he has developed the majority of his academic work. Since his first year as a full professor at the Science of Movement and Sport School at the University of Barcelona –INEFC, in 1976, he has taught numerous Postgraduate, Graduate, and Doctorate courses. He has also served as Director and Chief of Graduate Studies on two occasions. As chief of graduate studies and head of the Physical Education department he has been responsible for developing the school’s main programs: Fundamentals of Human Movement, Theory and Practice of Physical Education, Theory and Practice of Sport Training, and Initiation-Development Processes of Human Movement and Sports. In addition to his education work in the university setting, he has taught the Master of High Performance Sports for the Spanish Olympic Committee, and the Professional School of Medicine, Performance and Sport. He has also served as professor of Coaching Theory and Planning for the National Coaching Schools of Spain in Martial Arts, Gymnastics, Swimming, Judo, Tennis, Volleyball, and Track and Field. Professor Seirul-lo is often invited as a lecturer to international conferences in physical education, sports training, and adjuvant training. He has given more than 50 courses in different Spanish cities, as well as in other countries, such as Portugal, France and Italy. He was founder and director of RED Sports Training Journal (1987) and REF Physical Education Journal (1985). He currently serves as the honorary director and honorary advisor, of both journals respectively. He has published numerous articles in review journals, books for the National School of Athletics Coaches, and for the Master of Sports High Performance; as well as diverse documents for the magazine “Pedagogical Technical Notebooks” (INEF-GALICIA). Likewise, he has outstanding experiences in the field of physical education and of the sports initiation. Thus, in the early 80’s, he was the responsible of a detailed study and exchange with the best European schools of sport initiation (basics of the former German Democratic Republic, complemented with applications of the schools from Russia, France, Italy and Scandinavia), in order to elaborate a thorough summary that would allow coordination and participation in the creation and practical development of the C.I.D. Centers of Sport Initiation which are now a very prestigious international reference. In the field of the adjuvant training, drawing on his beginnings in track and field, he has integrated knowledge of medicine, movement rehabilitation, movement education and sports training in order to solve the injuries of scores of athletes. He has advised, always with his characteristic mastery and efficacy, many other trainers and conditioning coaches in creating injury prevention practices for the athletes they train (track and field, judo, motorcycling, cycling, climbing, handball, basketball, football, boxing, martial arts, bullfighting, etc.). A perfect example of his adjuvant training is highlighted by the pioneering interdisciplinary collaboration between the medical staff and the technical group of the FC Barcelona’s handball team that made possible the tremendous record of prevention and recovery of injuries for more than one decade. But perhaps his greatest contribution to the sciences of human movement started in the mid 80’s, when Professor Seirul-lo began developing a new theory of training for team sports, based on the notion of complexity and utilizing dynamic systems theory. During the more than 30 years since, Professor Seirul-lo has repeatedly turned this pioneering theory of athletic training into practice, applying his theory of dynamic systems training to great effect in his direct training of high level athletes in a multitude of disciplines, but most of all in team sports. The breadth of his work with Spanish National Teams in full international competition is one-of-a-kind. He has trained athletes for 5 different Olympic Games: Munich in 1972 – 4x100 Relay and Triple Jump, Montreal in 1976 – Judo, Los Angeles in 1984 – 4x100 Relay and Triple Jump, Barcelona in 1992 – Tennis, London in 2012 - Handball. With the Spanish Handball Team he has participated in 4 different World Handball Championships: 1993 in Sweden, 2009 in Croatia, 2011 in Sweeden, and in Spain in 2013 - winning a historic Bronze Medal with the team’s head coach, Valero Rivera (a former pupil of Professor Seirul-lo’s) - in 2 European Handball Championships: 2010 in Austria and 2012 in Serbia - and in 1 Olympics Games: 2012 in London; and winning an outstanding Gold Medal in Spain 2013, playing in Barcelona. As a coach of athletics, has achieved 18 National Championships in different categories in the specialties of long and triple jump and discus and hammer throw. On the other hand, has coached fencers, boxers, bullfighters, and motorcyclists like Dani Pedrosa since 2011. As impressive as his body of work at this level is, what he has done over the course of his affiliation with FC Barcelona is even more amazing. During the decades of the 80’s and 90’she was responsible for the conditioning and planning of F.C. Barcelona’s handball team. Together with the coach, Valero Rivera, he built the entire training structure that over time enabled the FC Barcelona Handball team to obtain the best international results ever obtained in this sport. With Valero Rivera and FC Barcelona’s handball team he has won: 8 National Leagues, 7 Copa del Rey Championships, 2 European Cups, 2 European Super-Cups and 5 Spanish Super-Cups. In the mid 90’s he became an integral part of what FC Barcelona is most famous for the world over – it’s soccer team. Since 1994 to 2014 he was named as the head physical conditioning coach of FC Barcelona’s soccer team. In addition to this, he was made the Director of the technical commission responsible for the physical conditioning and preparation of all professional sports teams in the club. He continues to hold both roles to this date, and in this capacity he has worked with such legendary soccer coaches as: Luís Aragonés, Llorenc Serra Ferrer, Radomir Antic, Bobby Robson, Carles Rexach, Louis van Gaal, Frank Rijkaard, Johan Cruyff, Josep “Pep” Guardiola (himself a former student of Professor Seirul-lo’s), "Tito" Vilanova and "Tata" Martino. Since Pep Guardiola’s naming as trainer of FC Barcelona’s 1st team, Professor Seirul-lo has collaborated closely with Guardiola to build what many experts believe to be the best club football team in the history of the sport. In May 2009 this team achieved a historical triple win: the League (La Liga), the Copa del Rey, and the UEFA Champions League Trophy. In December 2009 the team won the World Club Championship, becoming the first team in history to win every trophy in the sport -6 of 6- in the same year. In 2010 they won the League (La Liga) for the second consecutive season, achieving a new record in points and losing only one game during the whole campaign. In 2011, after winning their 3rd consecutive League title, they again won the UEFA Champions League in exceptional fashion. In August won again the Spanish Super-Cup. To date, with the FC Barcelona Soccer Team Professor Seirul-lo has won: 9 National Leagues, 4 King's Cup titles, 7 Spanish Super-Cups, 4 European Super-Cups, 1 European Re-Cup, 3 European Cups/UEFA Champions League, and 2 FIFA Club World Cups. Professor Seirul·lo has also achieved various personal distinctions because of his many coaching successes. He is the only professional coach ever to have won a European Cup in two different sports (handball and soccer). On May 27th, 2008 he was honored with the Medal of the Royal Order of Sports Mention by the Superior Council of Sports, in recognition of his contribution to the development of sport in Spain. In 2011 professor Seirul-lo achieved a historic double award for being a key component, together with his two former pupils Valero Rivera and Pep Guardiola as coaches, in simultaneously building two teams, FC Barcelona's Handball team and Football team, that are considered by experts around the world as the best of all times, in quality of play, consistency of performance, and human values. On September 27th, 2013 he received an award for his career as a football trainer, handed in by the Spanish association of football trainers. On March 18th, 2015 professor Seirul·lo receives a tribute of appreciation and gratitude to his teaching work, presenting a book about his fundamentals for movement education, on the occasion of the doctoral thesis presentation of two of his former students at the University of Lleida. Currently, in addition to his professional activity in the various teams of FC Barcelona, and consultancy with the Movements Sciences School of INEFC-Barcelona, he is also a scientific advisor to the International Center for Athletic Training Services (EEB) of Barcelona. In May 2014, let his direct activity with the first team of FC Barcelona and becomes the training methodology director of the club. Professor Seirul-lo’s love, passion, and dedication to the movement sciences have made him a great teacher to all who wish to learn about the sciences of physical training, adjuvant training, and sports training. Clearly, he has accomplished almost everything possible in terms of victories, medals, and trophies. But above all, what is most remarkable about Professor Paco Seirul-lo is his continuing humility and generosity, because he has always given freely of his time to wisely advise and help his past and present students at every opportunity.